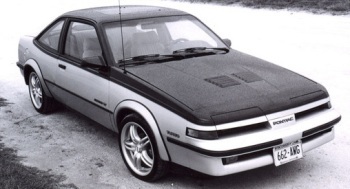 87 sunbird, 2.0L, but aftermarket ac. Copper evaporator. Low side stays about 29-30psi, all the time. High is say, 165, and moves very litle too. Condenser upper part feels very warm (metal inlet hot to touch), lower part of condenser is cooler, so, I understand this tests out OK for condenser behavior. Inside temp at vent is 58-60. I heard steady low side psi means bad expansion valve. Is that necessarily true? It is a V5 compressor. It is proper for the low side to stay in a very narrow range. Need to charge variable displacement compressors like that by weight. They can maintain low side set pressures with an undercharged system. Thanks, bohica. I didnt know that. So, does that mean that even if one would overcharge this compressor the psi would hesitate to read higher, say, 35-38psi? Would it likewise, make sense to "try" to improve vent temp by adding say, 1 or 2 oz of refrigerant to see if at least, the temp will react at all (before going the route of evacuating)? Not sure how Brad determined you have a V5 in your car when it is an aftermarket unit, but that is the way a V5 behaves and to a certain extend, a TXV as well, even a POA behaved that way. Pressures appear to remain constant, but cooling is very marginal. I will give you the secret to charging such a system if you promise not to tell anybody. But first, all of these conditions have to be met first. It must be a 80+*F day and accurate low and high side gauges must be attached. Engine must be ran at 2,000 rpm, AC on, blower at maximum, and the windows down or the doors opened. Accurate means must be attached to monitor both the inlet and outlet temperature of the evaporator. Now with this done and you should note that the outlet evaporator temperature is much warmer than the inlet first. If not, you have other problems such as a restriction, STOP, no need to go further. Another reason to STOP is because the high side pressure is going over 200 PSI, 225 PSI at 85*F is the limit. If all is okay, slowly add refrigerant to the low side and learn if the outlet evaporator temperature starts to approach the colder temperature of the inlet. Monitor the high side while doing this. If all is okay, will notice a drop in your vent temperatures. Normal is to close all vents expect the center one and monitor that temperature as well. It should be dropping as you slowly add refrigerant. IF BOTH THE VENT AND EVAPORATOR TEMPERATURES ARE NOT DROPPING AT ABOUT THE SAME RATE, STOP, YOU HAVE OTHER PROBLEMS. You will get to a point where the vent temperatures start to stabilize, again you are still looking at the high side, and the outlet evaporator temperature will be very close to the inlet temperature. At this point, can add a couple more ounces to fill the reservoir in the receiver or the accumulator, whichever you have, or just stop at this point. If you do have a slow leak, that extra refrigerant is just wasted. At this point, want to use a good electronic leak detector to find any leaks, actually should be done first if you still have enough refrigerant left to start up the system. Or else, you just wasted both your time and refrigerant. If the vehicle system has a history, hasn't been charged in say five years and you had to add 5-15 ounces, can be as low as one year ounce per year that you would never find, even 3 ounces per year is difficult to find. Generally would let that go. But if you have a refrigerant leak can also have an oil leak, so the entire system must be checked out first for oil leaks, even if it means removing the compressor hub first to view the compressor seal. And of course, the system has to be free from debris and the fans must be working properly, but these are always the first step in an AC repair. If oil leaks are found, you have no idea how much is lost, that is went you have to completely drain the system and start from scratch, in my opinion, just adding 2 ounces is insane. Too many assume their problem is low refrigerant when the problem can be a bad blend door, filth, or a fan motor, not only crazy, but dangerous. First, on the V5 compressor, turns out Brad guessed right. What happened is yes, its aftermarket but the comp quit in 1998 or so. I got reman factory spec one in 2005- thats how it turns out to be a factory V5. When I meant aftermarket, it was for the purpose of understanding the evap condenser, etc was not factory, not knowing if it even matters. So, you say the cooling is very marginal, does this mean I never will get ac that comes out say, 45 deg F? If so, thats depressing. Wonder why they ever made these then. But, I remember when it has R12 in it, it was dang cold. Measure temperature of the inlet and outlet refrigerant pipes at the evaporator. When the system is properly charged, a CCOT evaporator (it is an orifice tube system, right?) will be almost full of liquid refrigerant, which makes the outlet pipe get cold. Undercharged, the outlet will be warmer than the inlet since only "superheated" gas is coming out. Pippo, I said, "Pressures appear to remain constant, but cooling is very marginal. " With these systems, a CCOT will show very low pressures that corresponds with high vent temperatures where these systems tend to show "normal pressures" It kind of like the V5 closes up to keep the pressures up, but doesn't have very much refrigerant to spray. You should get ice cold vent temperatures when charged properly. Also just saying, you cannot charge by pressures, like mk 378 augmented, have to measure the difference between the inlet and outlet tube evaporator temperatures to get the correct charge. And has to be done on a warm day. V5 also has the characteristic to produce rather warm vent temperatures at low ambient temperatures, but really gets ice cold when the ambient gets over 90, just the opposite as a CCOT, far superior design. Ohhhhh, now I get it- the actual copper pipes/tubes, going IN the evap, right? man, Hope I can accesss those from under the dash. Also, I guess I should be able to just lay a thermometer tip on the tube?? Should that be enough contact to get a temp reading? Guess if not, I can get to them by removing the cowl and acess the tubes from cowl area removing the tarry insulation tape.I will try this.....I'll try anything! Darn abbreviations. CCOT stands for a Clutch Cycling Orifice Tube system or is that a Cycling Clutch Orifice Tube, your guess is as good as mine. But no worry, you don't have this system, have a VDCOT system instead where the compressor runs all the time. If it's withing its normal operating temperature range and turned on of course. To be perfectly honest, I have for years just been using my hands for feel. Not that difficult to feel the outlet tube warmer than the inlet. But that is until I purchased a very expensive and accurate IR thermometer. But I still use my hands as I don't want to get my very expensive and accurate IR thermometer all dirty. Well, I may check it after I wash my hands and put on white gloves. Now installing an expansion valve with a variable displacement compressor confuses me, which one is in control? Brad can explain this to me. Uh- Ohhhhhh, did I do something wrong in 2005? Geez, all I know is that aftermarket system did have an exp valve, period. And I replaced it with new when I redid the whole system back then. Should I replace with an orfice tube (if possible)? How would that help in cooling? Now, I dont remember what comp I had in 1998 or so when I yanked it and dumped it. I was dumb then...didnt care. So, when i "cared", I just ordered a fac spec one, and thats what I got. V5. (at least, thats what I think I have now. ) It has to be- what else would they have sent me, right? This was way before I heard of ac kits. I dont think they were trying to decieve me or anything- thats how it went. Without rambling, did this system ever cool well with that TXV and VDC? It was an "educated guess". I have never seen anything else fitted to that little pontiac - dealer installed A/C always used the OEM mounting location - which is made for the V5. As for working with a TXV - I have done more than one V7 / TXV install with outstanding results. I have heard that they will "hunt", but have never seen it happen. Personally I don't view the system dynamic any differently than a TXV / POA system. I don't believe it makes any difference if you throttle the suction to reduce compressor flow, or de-stroke the compressor. Of course I am sure some engineer will be along shortly to re-educate me because my experience is all wrong, but I have never had an issue with a variable displacement delphi compressor combined with a TXV. As for the Sunbird, it should cool just fine if the TXV is clear & functioning properly, and there is enough refrigerant in the system. I would check the pressures at 1500+ rpm, after running for 5 minutes with the doors open & cabin fan on highest speed. Since this is an aftermarket system, check the receiver dryer carefully, it may have a sight glass to aid in diagnosis. Get some pressure readings at 1500 to 2000 engine rpm, along with the ambient temperature when the readings were taken. Post them here. Sight glass??? I remember those, GM installed those in the late 50's and early 60's, again that warm day was required, 1,500 rpm and all that, and you would add refrigerant until the bubbles cleared to assure hard liquid was flowing into the POA. But then they dumped that piece of glass and went to a charging station, was around 1963 if I recall. But wasn't told to write that down at the time. But the A-6 did have a sump, was a fixed displacement compressor, where the POA could act as a bypass valve, maintaining 28.5 psi constantly over the entire temperature range. Back then the pros didn't know how to charge a system without a sight glass, so they added one first. They also had some kind of an electronic contraption that was to determine if bubbles were in the high pressure line or not. But they never worked very well, could actually feel the high pressure line better than what these things worked. That is went somebody figured out about the equalization in evaporator tube temperatures. I didn't make that up, but learned that from a pro. Yeah, like I mentioned in a few posts above, it was "dang cold with R12". Whats a VDC? OK, B. That might help- to get the rpm's up to 1500-2000. I took those psi's at idle. I believe that exp valve still has to be good. Now, on the sight glass, I have one! Do I look for when there are NO bubbles, just bubble free liquid? Oh, vent temp = 60 F after say, 5 minutes. does not go any colder for beans. OK, any feedback very much appreciated! Im ready to pump in freon if necessary. Your refrigerant loop looks like it is ok.
You have a clear sightglass - this means a steady flow of liquid to the expansion device, and enough charge to do the job. Your high side pressure is close to 2.2 x ambient, indicating a reasonable mass flow. Your low side is regulating as the V5 should, and the suction line temperature sounds like it is as cold as 32 psi 134a should be. Your evaporator is getting cold. You need to look for a blend door issue, or heater shutoff issue if that car has a water valve in the heater loop. You are re-heating the air from the evaporator core. If the suction line metal is cold to the touch, so is the evaporator. Trying to get a better picture of what you have, is this anything like your car? This car came with AC, you mention aftermarket, but is it like a stock installation, the evaporator and all that? Not something that fits on the floor like they had back in the 50's and 60's. With your sight glass, are you seeing an bubbles at idle speeds? This is a sign that its working right and should clear up at 1500 rpm. I am taking my 88 Supra out of storage. Just went through the major job of replacing the timing belt, although it should be good for another 10K, old one did look very good, but didn't want to risk a 23 year belt. Switched on the AC, still works, never had been charged, but saw foam in the sight glass at idle. Revved it up to 2,000 rpm, still a trace of bubbles, so I must have lost a couple of ounces over the last 23 years. If you drive your car a 55 mph after awhile, normally about at least ten miles with the AC off, if your vent temperatures are greater than the ambient, you have blend door problems. Thats pretty much my car! Except, mine is I think 2-3 yrs older. That one looks like a 89-90. Same body/frame- J cars, they called them. AC is not on the floor, it is tucked up waaaaaaay under dash. Copper evap. No bubbles even at idle (car normally idles high- about 1100-200). Gees, nick, 23 yrs with orig timing belt?? man, talk about taking chances. Still, if upon inspection, it appears fine, no need toworry, right? Now, if I drive 55 mph for 10 miles (ten-11 minutes), greenhouse effect will make my cab temps soar to 100 in no time with windows up (shut). Does blend door have only to do with ducts/louvers/cables/flaps? Pls advise. My Supra was in storage for 17 years, only has 50K miles on it. Windows can be down, temp control at zero, just feel the air outside compared to your vent air, if you vent air is hotter than sticking your hand out the window, your blend door is not closing. Or the weather stripping around the blend door is all rotten away, had that problem with my 82 P-30, had to remove all the duct work and repair that. 93 Bravada was another vehicle with that problem, had to remove the dash first. Air hits the evaporator first, then is either channeled direct to the vents, or directed through the blend door to that heater core in proportion to how far it is opened. With the hot sun pouring down on your hood, vent temperatures will always be warm if not hot, even if the blend door is good, may even take ten miles of driving to cool those off to ambient. On a cooler day, you should see some foam in your sight glass at idle, beginning to wonder about your sight glass. When you work on these systems, quickly get the idea that the entire vehicle is built around it. OK, I get it Nick. Good tip . I never thought about this- I will give it a try next time I come home from work. Anyway, looks like we have narrowed this down, eh?